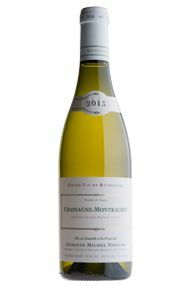 The Wine Advocate - The 2013 Chassagne Montrachet Village Blanc, which is already in bottle, has a fragrant bouquet with hints of white peach coming through, although it is more reticent than the premier cru as one would expect. The palate is crisp on the entry with very good acidity, a citric ribbon from start to finish that is nicely controlled. This seems like a step up from the 2012 last year and with aeration, a pleasant spiciness develops on the aftertaste.